You can have too much of a good thing, and that includes data. Zak Pines is the VP of Marketing at Bedrock Data. He’s been in and around the marketing technology space for a couple of decades, and now his job is to solve problems around data. Zak knows how valuable data is, but he also knows that too much data can keep you from making decisions. Integration challenges, conflicting data sets, and a lack of insight can leave you worse off than if you had less data to begin with. In this episode of The Intelligent Marketer, we spoke with Zak about his time at Bedrock, balancing the use of data, and the alignment of sales and marketing. Zak started with Bedrock Data back in 2016 because there was an interesting problem in the B2B marketing space he saw their team solving. Bedrock was making it easier for people to integrate and combine data. Companies want to work with and analyze their data, not spend time integrating it. This fit well with Zak’s DNA. Bedrock is a small company; it’s still considered a startup. It has a complete marketing team leveraging both contractors and employees. There are a small amount of employees who take ownership over certain tasks, and contractors that perform specialized functions when needed. Because of their ability to use contract work so efficiently, Bedrock comes across as a much larger marketing team than the numbers or cost might suggest. 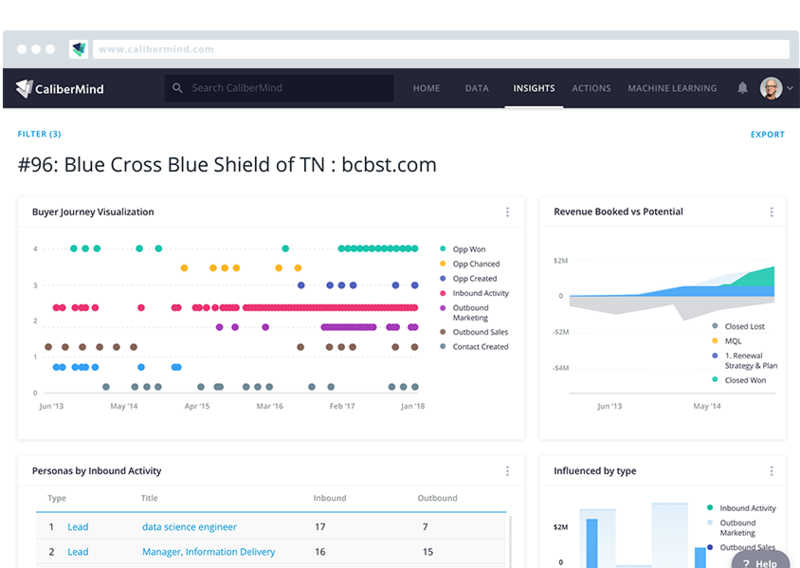 Bedrock allows companies to unify their data across multiple applications. This helps accelerate analytics. It helps companies be able to get hands on with their data. This leads to better analytics and faster insights. Zak believes that you can use data to help you or hold you back. An example of a good use of data is when a company is willing to take risks based on their data. They know they can measure both the amount of risk and the amount of potential success in a given data-driven decision, so they are bold in taking action. They need insight from a company like Bedrock to be able to do this. On the other hand, your company can be too data driven. Some companies can be so consumed in the data that it paralyzes them. They are scared into inaction because they tried one approach years ago that failed, and they are hesitant to try something similar again. They dive so deep into conflicting sets of data that they don’t end up taking any action at all. Balancing between using the right amount of data is difficult. Zak advises companies to checkpoint themselves. To be aware if they find themselves paralyzed. To take a step back, coach the team accordingly, and create an environment where experimentation is encouraged. 1. Be aware of goals and performance. Knowing each other’s goals helps drive a unified approach to accomplish them. Singular goals drive collaboration and teamwork. 2. Be empathetic of the other side’s challenges. It is easy for each side to complain about one another, but it is much more difficult (and productive) to see things from the other side’s point of view. Sales deals with challenges that marketing doesn’t have to, and vice versa. 3. Help sales knock down roadblocks. It is one thing to be empathetic, but it is another thing to take action. Knocking down barriers for the sales team will be valued more than you might realize. It’s a fundamental building block to building a fantastic relationship between marketing & sales. Several years ago, Zak started a blog called Stories from a Moneyball Marketer. Zak uses his blog as platform to feature people doing great work. He used the term “Moneyball Marketer” because of his interest in sports analytics. Zak helped pioneer some of the first analytics for the NBA that are still used today. Check out Zak’s blog for more insight on the topics covered above as well as his thoughts on all things MarTech! This post is based on a The Intelligent Market podcast with Zak Pines. To hear this episode, and many more like it, you can subscribe to the Intelligent Marketer Podcast here. If you don’t use iTunes, you can listen to the podcast here.